Present state: Part of the front and side wall of the street level building survives including a bricked up doorway and window. Nothing remains at track level. 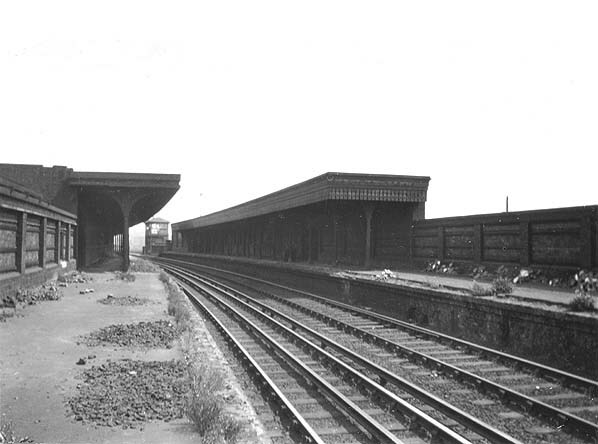 Notes: On 15th June 1855 the City Corporation opened the Metropolitan Cattle Market off Caledonian Road so to cater for expected rail traffic the NLR opened a cattle terminal at Maiden Lane but no passenger station was provided until 1st July 1887 to cater for newly constructed residential expansion into the area. 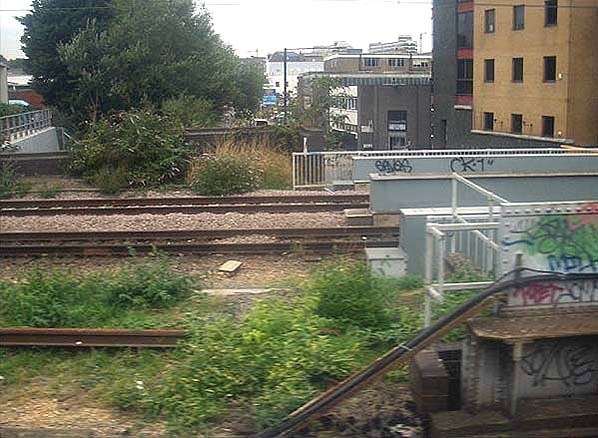 Although the line between Dalston and Camden Town had been quadrupled in 1871 two platforms were only provided on the northern pair of tracks. The two storey street level building was a fairly plain structure with arched windows and doorways, not as grandiose as other NLR buildings of the period. Passenger numbers declined rapidly with the coming of electric trams and local residents gradually switched from working in the City to working in local industries. 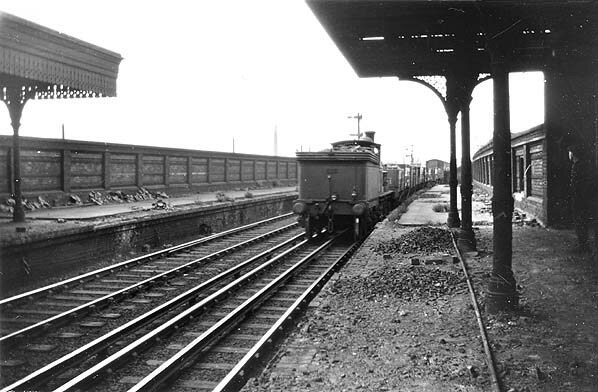 The station was closed as a war time economy measure on 1st January 1917 and like numerous other inner suburban stations, Maiden Lane never reopened. 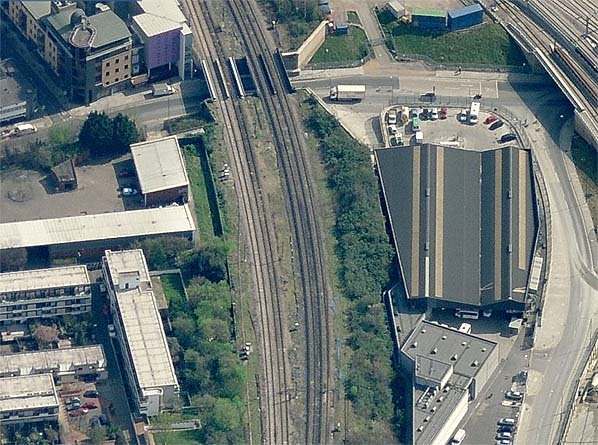 In recent years both Islington and Hackney councils have expressed a desire to reopen a station at Maiden Lane (now York Way) in order to serve the massive development planned for the former King's Cross railway lands but no decision has yet been made. In phase 1, the line is being extended northwards from Whitechapel, with new stations at Shoreditch High Street, on the site of the old Bishopsgate goods depot, Hoxton, Haggerston and Dalston Junction, the latter two stations on their original sites. 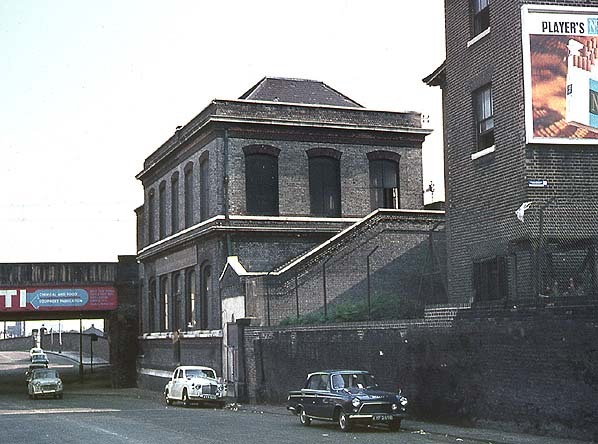 A further extension along the North London Line, through Canonbury to In phase 1, the line is being extended northwards from Whitechapel, with new stations at Shoreditch High Street, on the site of the old Bishopsgate goods depot, Hoxton, Haggerston and Dalston Junction, the latter two stations on their original sites. 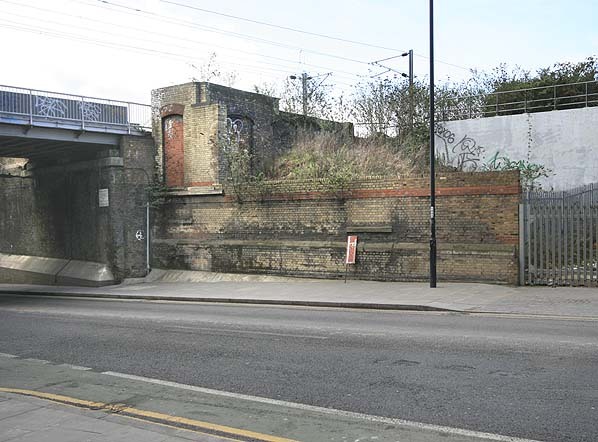 A further extension along the North London Line, through Canonbury to Highbury & Islington for interchange with the Victoria line, North London Line and Northern City Line will open soon afterwards. 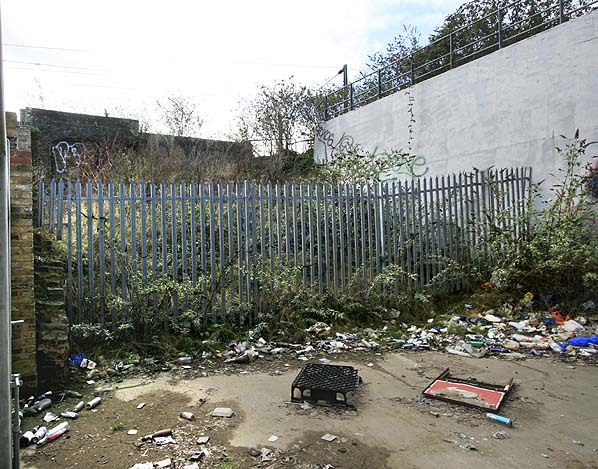 It is now anticipated that the northern extension should open in 2010.